There are 8 Creator Profiles; one for each of the levels of consciousness we work with in our system; Oracle of the Heart. Each Creator Profile provides unique ways of attuning you to your creative potential while aligning you with what is for your highest good at any given moment. Therefore this is a highly reflective way to open to a new way of seeing, thinking and experiencing yourself. Oracle of the Heart has provided us ample ways to work with many of the same elements. Using these profiles is one of the ways we have found that is simple and yet provides profound insights. We hope you find them as useful as we have. Therapists call revisiting the past a life review which provides opportunities to see our lives differently. 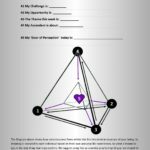 These 8 Levels of exercises not only provide this, they actually assist you in changing your relationship to the event/s or person/s in a way that promotes emotional release; healing. Each moment of our lives presents opportunities to make new choices. When you randomly select a level and layout your chart your may see events from your past differently. Therefore helping you to see how you may choose to see the lesson there rather than bury it only to resurface again, and again. As we let-go, we allow what is for our highest good to come forth. Synchronicity is a powerful way to open to the greater good. Registering for a Free membership gives you the Level One Creator Profile to use. NOTE: Free members can upgrade to a full membership at any time as Full Access members have access to all of them and everything else too! NOTE: Full access members may choose initially to work with the 8 Creator Profiles sequentially. However once again we recommend opening to the power of letting go to spirits divine guidance by using our random selector provided below to choose which level is best for you to work on right now. We trust that whichever way you choose is appropriate for you. Each level has 4 primary key words and 16 possible ‘Doors of Perception’ that the random selectors provided on each level will help you to fill in your creator profile chart for the week. Click generate to select the level you are being guided to work with today. The numbers generated by this widget come from RANDOM.ORG’s true random number generator.Step 3: Click on Random Selector #2 to determine the perception needing to be cleared. In the Key below find the matching number to the filled in column. This is where your inner guidance is directing you to focus right now. Now take a deep breath while inwardly repeating this statement. Breathe and feel each word and when you are ready close your eyes and repeat the phrase until you feel a shift in your energy. This is to help you center and relax preparing you for going deeper into the next step.